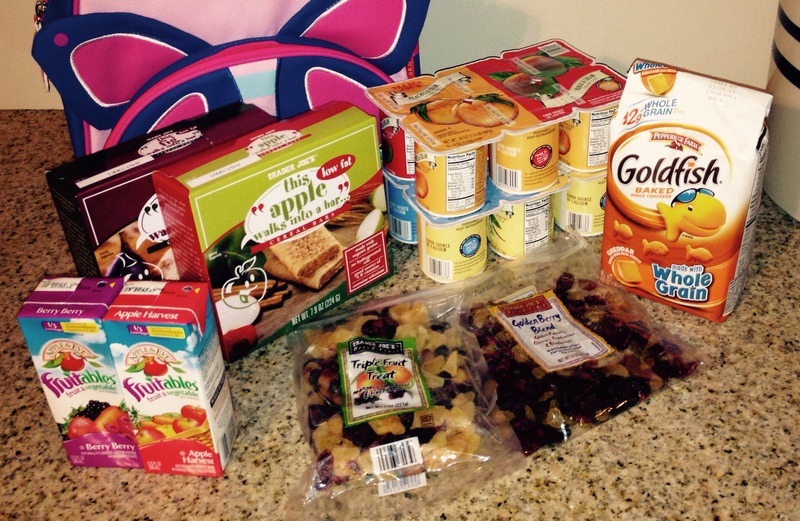 We are getting ready for a 4 day trip with the kids so I thought I would do a few travel survival posts. There are 2 things that almost guarantee a meltdown with toddlers, hunger and not enough sleep. The second may be tricky but the first has a lot of quick solutions. The main thing I’ve learned is to never let their blood sugar get too low. Ideally fresh fruits and veggies are first choice snacks but the items below work in a pinch and are easy to pack and healthier than junk food. Trader Joes is my favorite place to shop and they have lots of healthy kid friendly foods. Cereal bars, dried fruit, juice boxes, cheese sticks and slices, mini yogurts, apple sauce, crackers and more all pack great and do not take up a lot of space. The trip is at the end of the week so I’m starting to pack now. I will include a packing list in my next post….